After all the interesting presentations and chats with SAP experts our customers and partners were curious about getting their hands on a real system. 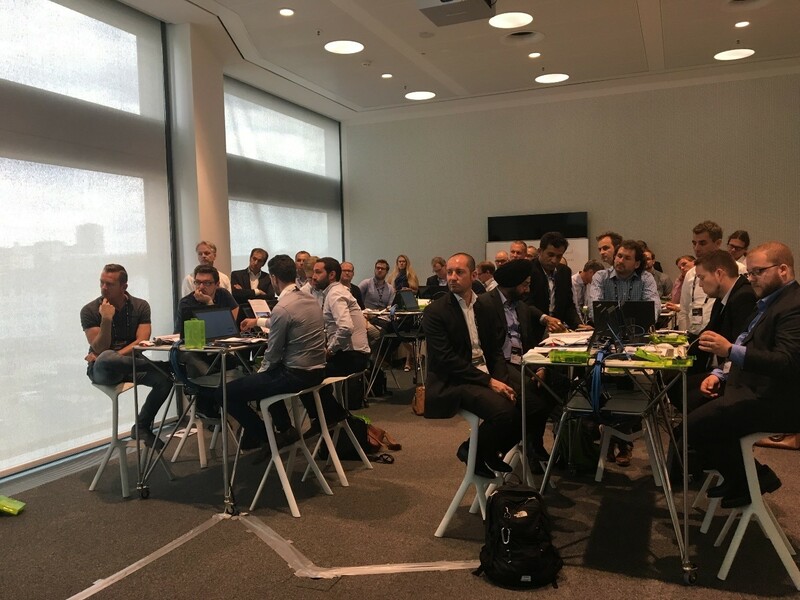 Luckily we had a session with our Leonardo Foundation Products – SAP IoT Services and SAP IoT Application Enablement. As the Foundation of our Leonardo IoT portfolio these two products cover device management and connectivity to the real-world device. High frequent messages can be sent to SAP Cloud Platform secured by certificates. Furthermore, the data management is also done by the Leonardo Foundation. The data is stored in a Big Data storage, which scales on a high level and enables customers to have a huge amount of time series and event data. And finally, the Foundation offers business services which are not only consumed by other Leonardo products, but could also be consumed by partner or customer applications. To make the implementation of those even easier SAP offers an Application Builder, which enables customers to build UI5 applications to consume data completely code-free. Last but not least backend integration is supported which enables customers to act on insights gained from their data. 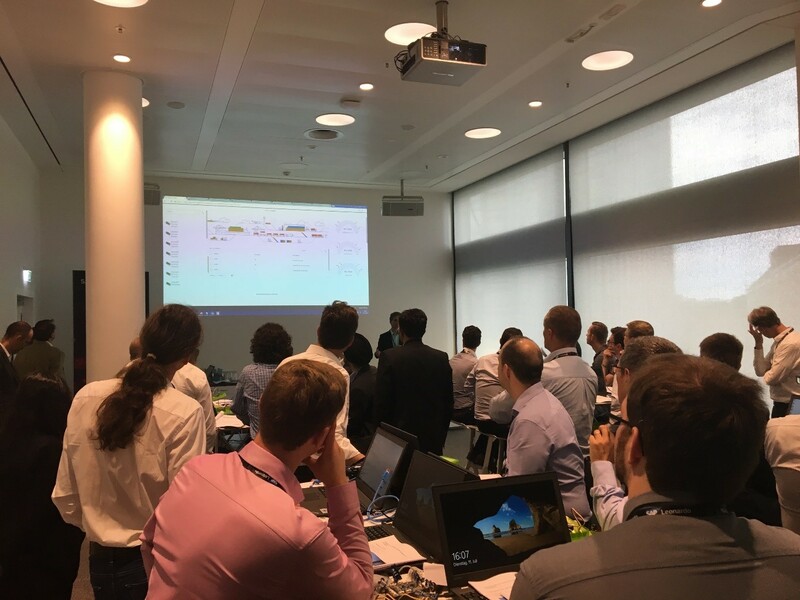 Our hands-on session at the Leonardo Live event in Frankfurt covered all those steps. The hands-on session started with connecting several sensors to a Raspberry Pi. The participants of the session modeled this setup in the Thing Modeler of SAP IoT Application Enablement. Afterwards they onboarded the Pi in SAP IoT Services and authorized it to send data to the SAP Cloud Platform. 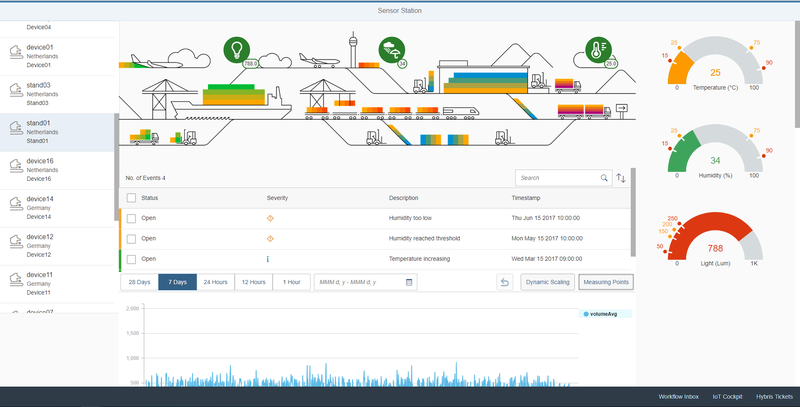 In the UI of SAP IoT Services the participants could directly see the real-time data which was coming in and was saved in SAP IoT Application Enablement. The next step was to make this data accessible for everyone to analyze it. So, an UI5 app was created within SAP WebIDE. SAP WebIDE with its Layout Editor enables even non-developers to build applications completely code-free. Once this step was done the time-series data and events were visualized in the app generated during the session. At the first day, we received very good feedback on our two sessions. Since both sessions have been overbooked, we decided to do two more sessions on the second day of the fair. Thanks again to the organization team which made this possible. The good feedback showed that it was worth it. In the end, we want to say thank you to all who participated in our sessions and made it such a success. If you are now curious yourself and want to play around with SAP Leonardo, we have good news for you. Currently we are working on tutorials for developers.sap.com to give you access to a real system and guide you through the SAP Leonardo Foundation. Additionally, you can purchase an express edition of Application Enablement following this link. This fits your needs if you want to start with a small pilot first, to discover what SAP Leonardo can do for you and your business. Unfortunately, we don’t have a demo system for externals at the moment. But I know, that there are some guys working on it. I’ll keep you posted. Thanks Jan. The one which was shared with SAP Leonardo Open SAP has now been taken back Is it possible to get access to that one. Do let me know if there is some way to get one I wanted to develop an integration with a cloud based system and hence wanted to have access to it to play around. Thanks! Hi Jan, any updates on trial access? People are interested in getting started with Leonardo. Is Leonardo just a hype?